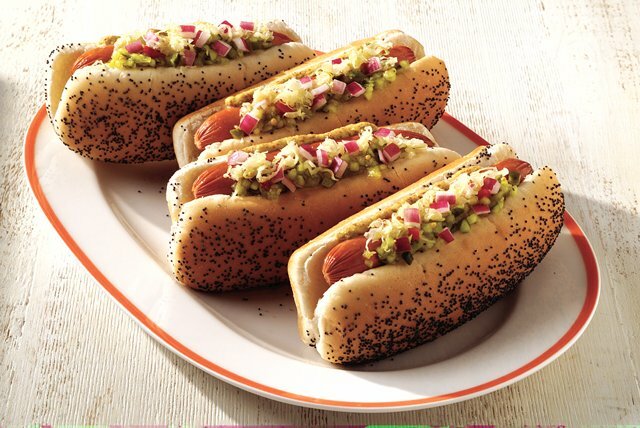 We call this the Sweet 'N Sauer Dog—see what we did there? It's a beautifully dressed hot dog topped with onions, relish and (you guessed it) sauerkraut. Cook frank as directed on package. Fill bun with frank; drizzle with mustard. Serve this New York-style dog with a mixed green salad and a piece of your favorite fresh fruit. Prepare using HEINZ Yellow Mustard.